ABS-CBN has filed a request for certiorari before the Court of Appeals to invalidate a Temporary Restraining Order (TRO) by a Quezon City court last week. 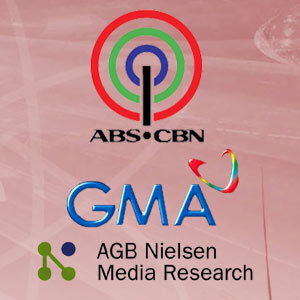 The TRO prevents ABS-CBN from airing reports implying that GMA-7 was behind the alleged manipulation of TV ratings issued by AGB Nielsen Nielsen Media Research. Judge Henir Jean Paul Inting, presiding judge of the QC Regional Trial Court, imposed the TRO. He said that ABS-CBN's accusation that GMA-7 is involved in the ratings anomaly will "cause great or irreparable injury to GMA Network's reputation and good name as GMA Network, by publicity, will be adjudged by the public as guilty thereof." In addition, Judge Inting said that such reports from ABS-CBN "may undermine the right of GMA Network to a fair and due process." Certiorari is "a writ that an appellate court issues to a lower court in or to review its judgment for legal error and review." "Corruption is a matter of public interest regardless of where it is found. Thus, whether it be in the executive, legislative, or judicial branches of government, or even the private sector, it is the responsibility of media to expose corruption. All who are liable must be held accountable." ABS-CBN also deplored the granting of virtual immunity to GMA Network, Inc.
"The TRO grants GMA Network a virtual immunity from accusation. No person or entity has ever enjoyed such a privilege, not even the highest public officers of the land. It is a clear attempt to cover up and suppress information on the ratings manipulation issue," said ABS-CBN in its official statement. According to the complaint filed by the Kapuso network, issuingannouncements accusing GMA-7 of manipulating the ratings data are morethan enough to impress the public that they are guilty of theaccusation, even though the case is already under the court'sjurisdiction. GMA-7 is concerned about being unfairly subjected totrial by publicity. ABS-CBN, however, questioned the court's decision, arguing forpublic interest and the media's responsibility to expose corruption,among other assertions.